Living in a small space, I’m always looking for a little more organization in my life. 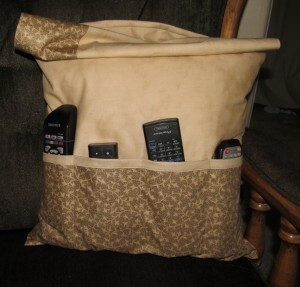 With end tables made of food storage buckets instead of drawers, it leaves a few items without a good home–especially remote controls. What to do to reclaim control over the remote controls? Here’s our solution: The Remote Control Pillow. I used my magical sewing skills, 1/2 yard each of two different patterns of cotton fabric, and a 16″ square pillow form. 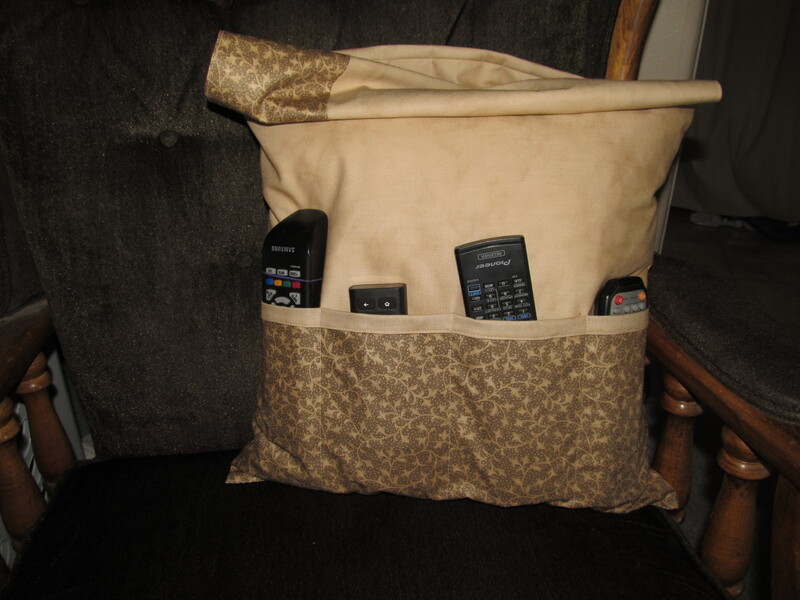 Of course I complicated the whole process by wanting contrasting fabrics on my pillow and a cover flap for the remotes to slow baby brother down. 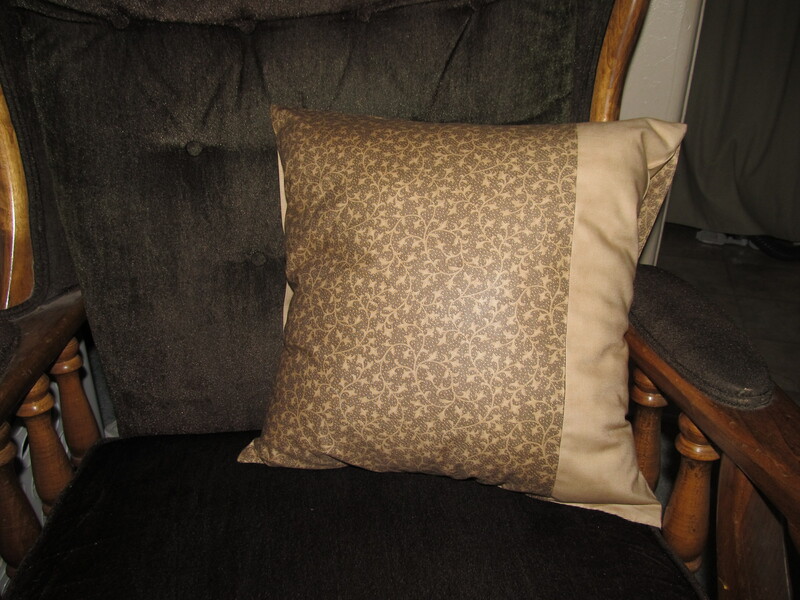 This project would be much easier if you only used one color for your pillow and pockets and left the flap off. Then you’d probably only need 1/2 yard of fabric total. To cover a pillow, you’ll need to cut your squares one inch larger than the pillow form (I cut 17″ squares) and use 1/2 inch seam allowance when sewing it together. 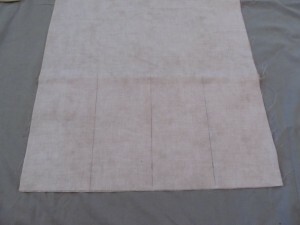 If you want contrast colors, just make sure your two pieces form a 17″ square when sewn together (I used two pieces 17″x13″ and 17″x5″ to make the front square). 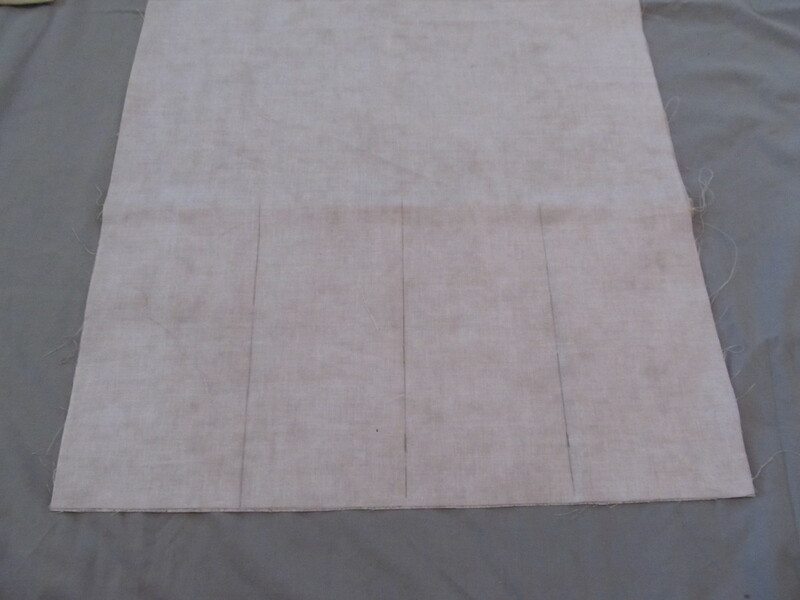 Bind or hem the top of your pocket piece (approx 8 1/2″ tall x 17″ wide for a 16″ pillow form) and attach it to the back square by straight stitching four equally spaced pockets (my pockets are 4″ wide) before sewing the front and back pieces right sides together. 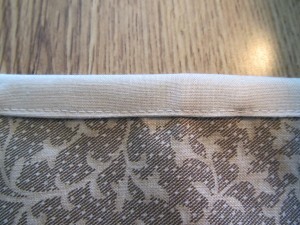 Mark pocket stitching lines on the wrong side of the back square, pin the pocket's wrong side to the right side of the back square and stitch the lines you marked. Leave one side open to insert your pillow form. 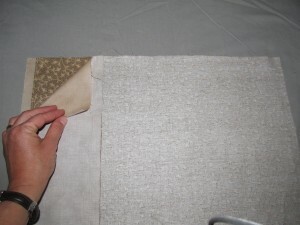 Turn the cover, insert the pillow form, and then stitch the last side closed. I hand stitched it, but you could do it on your machine if you can squish your pillow away from the seam enough. Sew front to back, right sides together, leaving one side open. Turn, stuff, and stitch the last side closed. Remote control pillow front side. 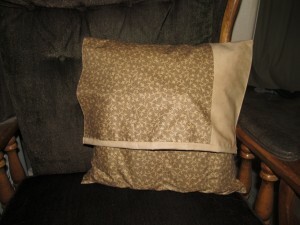 Finished pillow back side with optional top flap covering remotes. Congratulations! You have regained control over your remote controls and beautified your living space at the same time! Now to get everyone else in the house to use it . . . This is genius! I need this for our bed in our master bedroom. I dislike being sleepy and having to reach to my husband’s nightstand for the remote, or waking him if he falls asleep. I’m going to modify this to work for us!